Although scientists already believed that drinking coffee could possibly reduce the risk of neurodegenerative conditions such as Alzheimer's disease, a new study by Krembil Brain Institute in Toronto, Canada suggests that the kind of roast you drink might determine how much protection your cup of joe might actually give you. 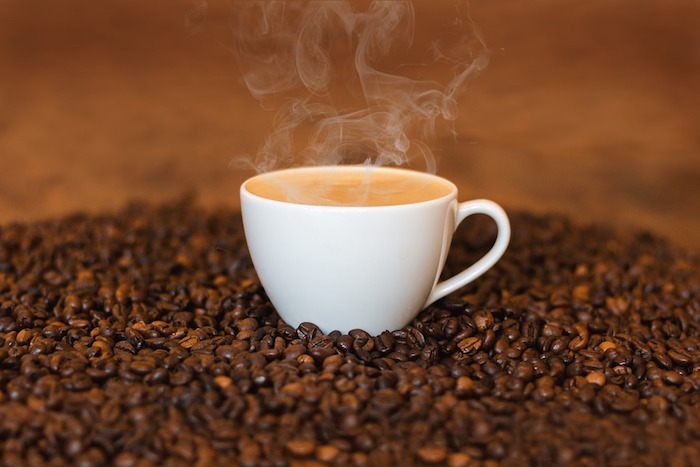 The study has identified the set of compounds in coffee – phenylindanes, produced during the roasting process – that are responsible for protecting the brain. The darker the roast, the more phenylindanes are produced. This suggests that dark roasted coffee, with or without caffeine, is the most beneficial for your brain. "So phenylindanes are a dual inhibitor. Very interesting, we were not expecting that," Dr. [Donald] Weaver [co-director of the Krembil Brain Institute] acknowledges. "It's the first time anybody's investigated how phenylindanes interact with the proteins that are responsible for Alzheimer's and Parkinson's," says Dr. [Ross] Mancini. This study doesn't mean dark roasted coffee is a cure for Alzheimer's or Parkinson's, but it gives me a good excuse to drop the tea and start drinking espresso on a daily basis again.